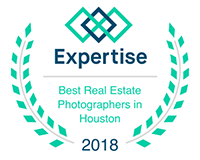 For additional information about our real estate listing photography, or to discuss commercial project, call 832-386-9739 or email john@johnpace.net. We will provide a up to 25 finished images in high resolution and MLS ready formats. Images are normally available online within 24 hours of booked session. Sales tax is added to the final price. Residence up to 3500 sq. ft.
Residence 3501- 5000 sq. ft.
Residence 5001- 6000 sq. ft.
$25 for distances over 60 miles, please call.